Nordic Pole Walking gives you a total body workout that is as easy as going for a stroll. This low-impact exercise is easy, relaxing, and provides you with the benefits of health, wellness, and fitness at your own pace. No matter your age or fitness level, anyone can participate. Regular walking only exercises the lower half of your body – your legs, hips, and feet. Pole walking incorporates your upper body into the rhythm giving you a whole-body fitness activity. 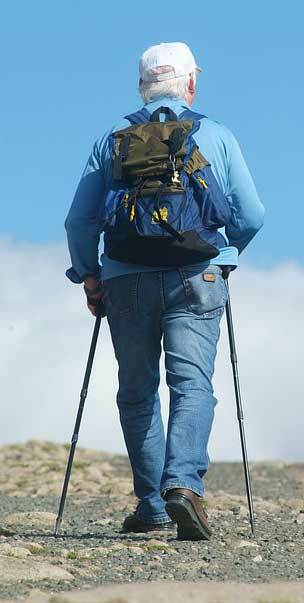 Nordic Pole Walking is also known as Urban Poling, Nordic Walking and Pole Walking. Think of it like cross-country skiing, but without the skis. The act of “skiing with your arms” tones your body while also burning calories and improving your posture. All that is required is a set of walking poles. Pole walking can be performed anywhere you want to go, in any season. You can pole walk through town, on the beach, or along your favorite nature trail. Pole walking also makes a great winter activity to get you out and moving, and can provide you with extra stability on snowy ground. Burn up to 46% more calories than standard walking. Saves your joints. The poles take pressure off your knees and hips. The increased heart rate will give you a better cardio workout. Increase the strength and endurance the muscles in your neck, shoulders and arms. Increases insulin resistance leading to improved metabolism and diabetes and helps regulate blood sugars. Great activity for relaxation and stress relief and mental health management. An anywhere, any time of day, any season activity. 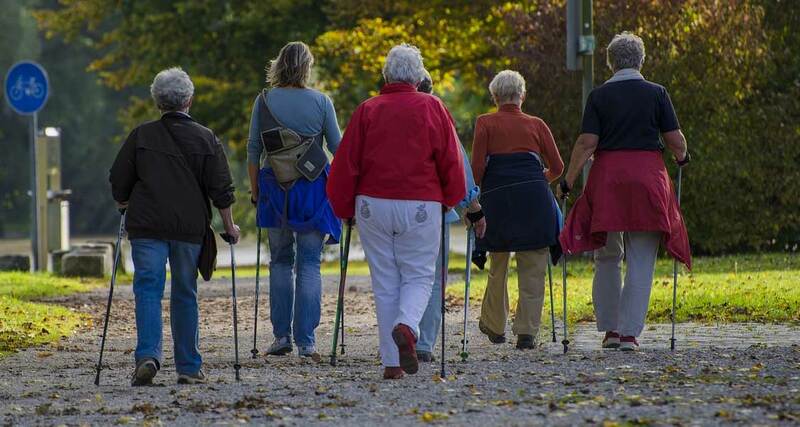 A fun social workout – walk with friends, and family even if they are not using poles. Milestone Physiotherapy is an official distributor of Nordixx Poles. The lightweight poles are adjustable to fit the height of the user and can be made collapsible to fit into a suitcase or traveling pouch. They come with adjustable straps and a twist and lock system so that they can be used by any member of the family, tall or small. For more details on Nordixx Poles, Visit the Nordixx website, or contact Milestone Physiotherapy today.